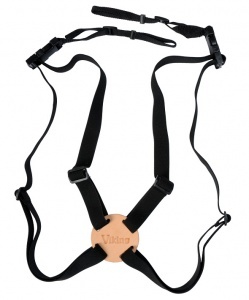 The Viking Binocular Support Harness is an ideal strap system, offering you extreme comfort when carrying binoculars. The ingeniuosly designed straps cross over at the back in-between the shoulder blades and fit under the arms to attach to the binoculars at stomach or chest height, depending on where you fit the adjustable straps. 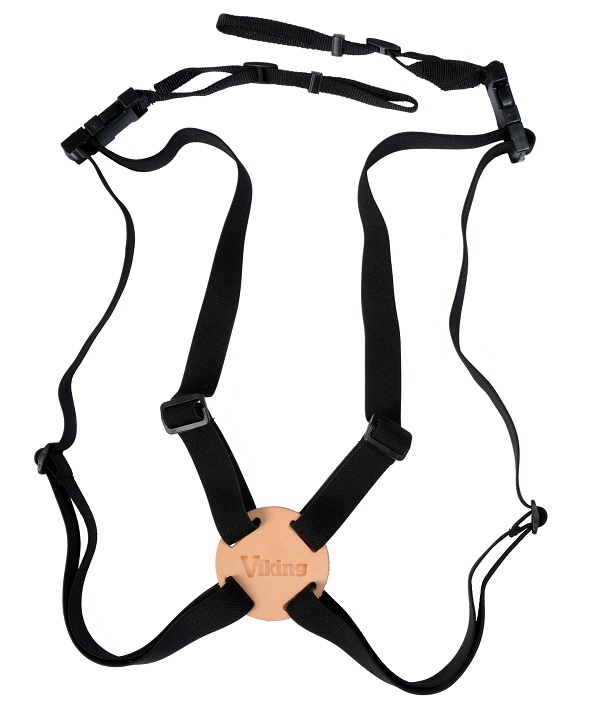 The strong, circular, leather disc at the back ensures that the straps splay out at a comfortable angle and the quick release, plastic clips mean that the binocualrs can be swiftly removed from the harness.